We participated in the last edition of Gulfood Manufacturing exhibition, that was held in Dubai from 6 to 8 November 2018, at Dubai World Trade Centre, along with our Partner Fava Spa. Present for Storci: Michele Storci - CEO, Silvio Valesi - Storci Sales Director and Fabian Balestrazzi – Storci Sales Manager. Gulfood Manufacturing is the main and most important exhibition in the Middle East in the Food and Ingredients Processing sector. This year, as always, there were operators coming not only from the Gulf but from the whole Middle East area as well as Africa, India and generally speaking every part of the world. Great satisfaction for the high number of visitors at our booth and for the interesting contacts we got: the exhibition was also a chance for meeting customers and friends, answering questions concerning our processing lines. Dry pasta machinery still in the limelight although instant pasta was the great protagonist again; fresh pasta and ready-meal lines aroused also a constant and growing attention. 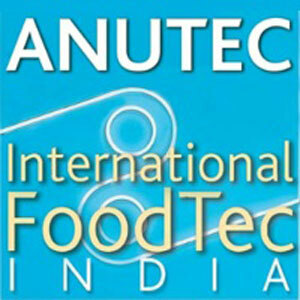 We participated in the 13th edition of International Foodtec India 2018, held in Mumbai, India, from the 27th until the 29th of September. We are extremely pleased with the great turn-out at our booth also this year; visitors coming from all over the world were very interested in our machinery as well as our Partner’s, Fava Spa. Our Sales Manager Fabian Balestrazzi was very content with the event “that is a highly satisfying exhibition for the operators of the food industry and always introduces innovations and latest technologies. It is certainly an experience to have again in the future”. 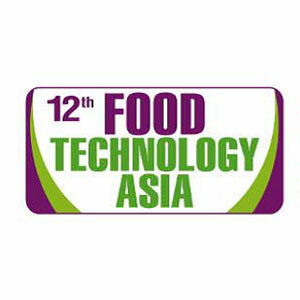 We participated at Food Technology Asia 2018, that was held in Lahore, Pakistan, from the 1st until the 3rd September 2018. It is one of the most prominent and enduring events hosted by Karachi Expo Center in Lahore. There were so many participating Companies of the food sector as well as other sectors, coming from all over the world, whose main interest was to find out the latest news in the plant industry. Our Sales Manager Fabian Balestrazzi said: “It was a very profitable opportunity to exchange views, not only with Companies from India and neighbouring areas – rising markets – but, more generally, with all those Companies that have been focusing on the pasta product. Dry pasta captured great attention as always, but we were also largely asked about fresh pasta, instant pasta and couscous; remarkable interest also toward ready meals and gluten-free products too, in line with the new food tendencies”. 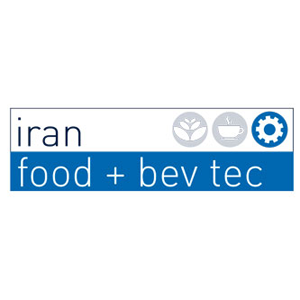 We took part this year in the Iran Food + Bev Tec, the 25th edition of the International Food & Beverage Processing and Packaging Exhibition, held in Teheran from 29 June to 2 July 2018. Many participating companies, coming from as many as 29 different parts of the world , whose booths occupied almost entirely the Teheran International Fairgrounds, venue of the event. Our Staff provided all the information concerning dry and fresh pasta lines, couscous, ready meals, gluten-free pasta or instant pasta to the large number of visitors who visited us at the fair. Ipack Ima was back, in its 24th edition. There was important news for the exhibiting companies and for the visitors as well, on an innovative and more international basis. We shared the booth with our Partner Fava Spa, as usual, and recorded a great number of interested visitors coming all over the world. Our Sales Managers answered all the questions and satisfied all curiosities concerning fresh and dry pasta lines, couscous lines, ready meals, instant pasta, glutenfree…see you all again at Ipack Ima 2021! We took part in the Gulfood Manufacturing 2017 in Dubai, from 31 October to 2 November 2017. Great reception for Storci and its Partner Fava Spa. There was a large turnout of visitors coming from several countries and a very high interest in all our products: dry pasta, fresh pasta, couscous, ready meals, gluten-free and instant pasta. The last-named has been the hit of 2017. Storci's Staff: "We are extremely satisfied with 2017 edition of the Gulfood Manufacturing. Along with our Partner we got a very high number of contacts and it was an excellent opportunity to meet regular Customers and Friends. We have proved once again our leadership in this sector and our leading role in pasta machinery sector when it comes to innovation and technology combined with tradition". Furthermore: "We are very satisfied with the event organizers, the interest in our lines was outstanding as usual, similarly distributed among our product categories".